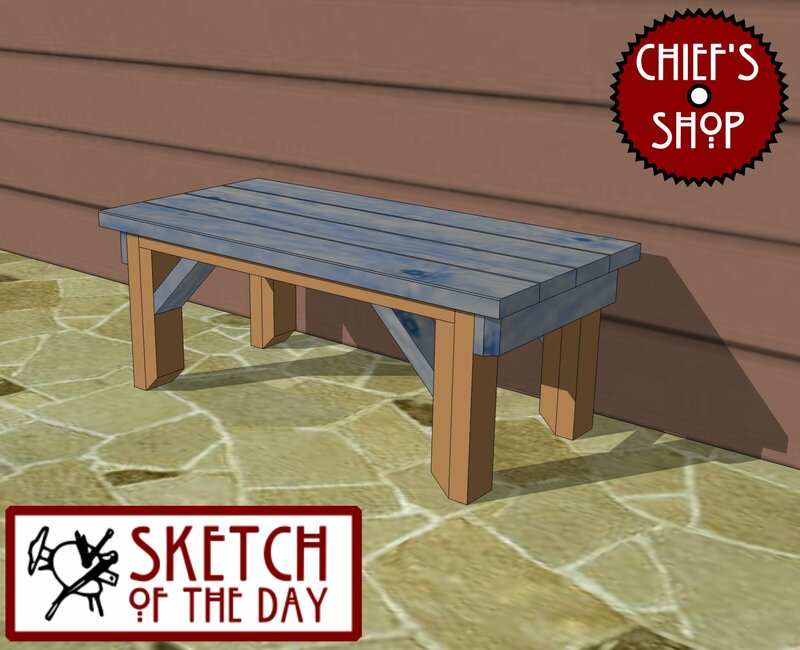 A rustic bench concept. I see this being placed on a front porch or near an entryway. I have tried unsuccessfully for several days to locate and download the “work plan” for your posted ‘sketch of the day’ projects. What and where does a subscriber need to “select” in order to obtain the woodworking plans for these items? Thanks! Not all Sketch of the Day posts become plans. Please look through the Plans section (https://chiefs-shop.com/html/plans.html) or my Plan of the Week section (https://chiefs-shop.com/html/plan_of_the_week.html) of my web site. Let me know which specific Sketch of the Day posts you’re interested in and I can put them on my list for creating plans.